A small step on the map, a big jump for the brand. 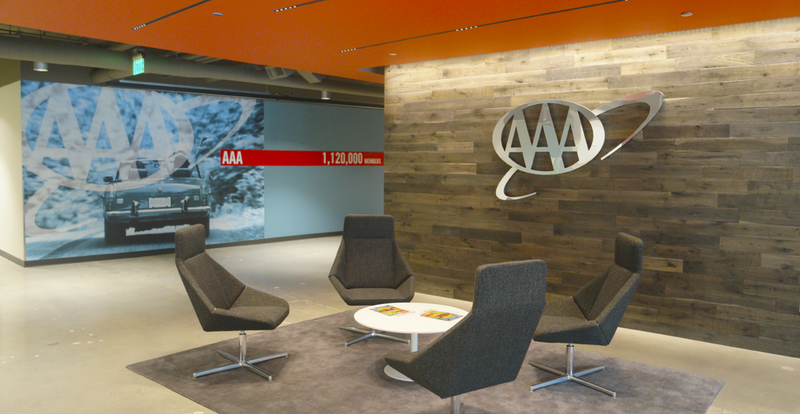 When AAA Washington decided to move their headquarters, they called us to make sure the new office was fluent in AAA. 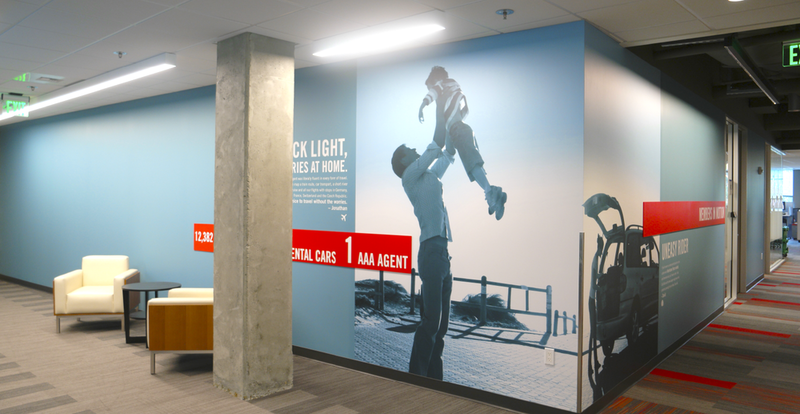 JPC Architects did the interior design, and we brought the experiential graphic design. 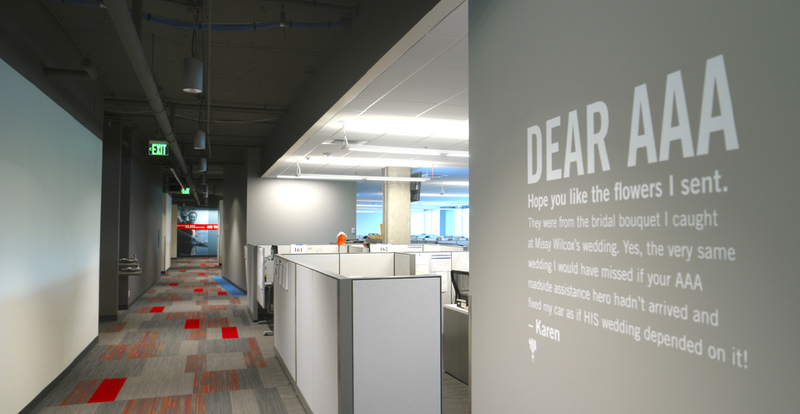 Through with floor-to-ceiling images, complimented with client stories and stats, the space reminds employees why they love coming to work each day. The brand moved forward leaps and bounds, all while staying in city limits.